Nothing matters more than everything! It’s said, by chefs and bakers alike, that the simplest recipes are often the hardest to get right. Our bakers give their all to the challenge. They are uncompromising in quality and well…everything really! We make secret little tweaks to the recipes to enliven the flavours and natural goodness of our products. 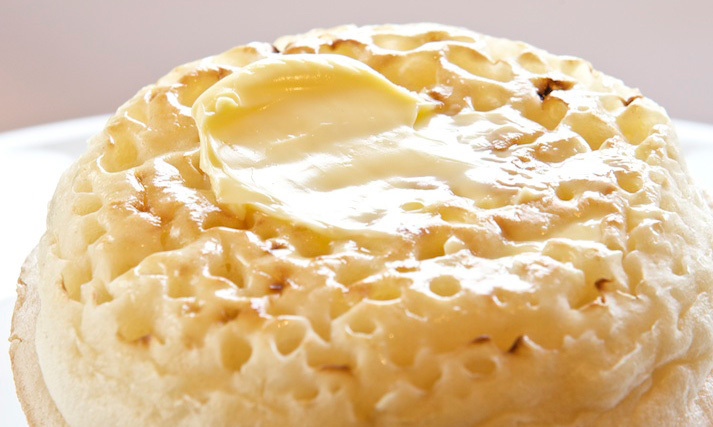 Whether it’s the consistency of our crumpets, carefully checking the number and density of holes to draw in the sweet or savoury fillings, or, the way we bake our crumpets for not a second more than needed for you to toast to perfection. And when healthy eating standards asked for less salt – we started all over again – to make healthier products more perfect for you.